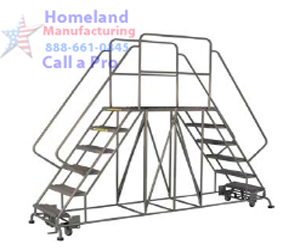 Our COTTERMAN STEEL WORK PLATFORMS are welded one-piece set-up. 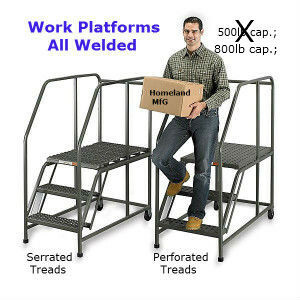 Steel work platforms are designed for safe access to required work levels. 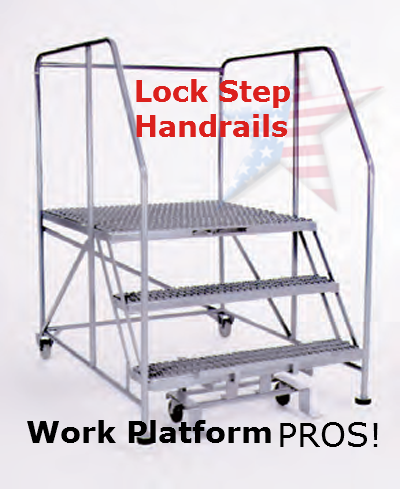 Work platforms are easily moved from job to job on the rear 4" rigid casters. For greater mobility, the optional Safe-Lock assembly can be specified. The easy 50° climbing angle permits forward descent to comply with ANSI standards. 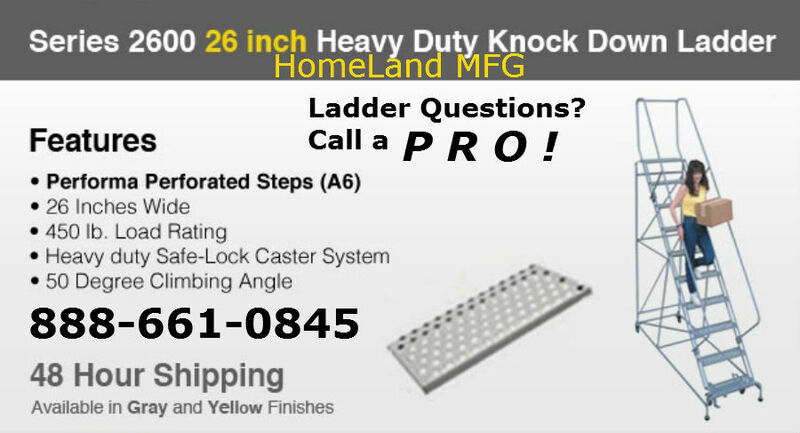 Cotterman Ladder Distributor. 800 pound load rating OSHA / ANSI Compliant. Large 21/2" diameter, 1" thick rubber pads on the front legs hold the standard platform secure during use. Two 4" rigid heavy duty casters on the back are standard. Steps and platforms are constructed of heavy duty non-slip Grip Strut supported by a rugged 1" O.D. tubular frame. Special designs are available. Gray powder coat finish is standard color. Full 36" high handrails are provided on 5 thru 7 step models. 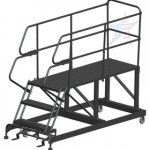 The Steel Work Platforms are designed for a comfortable work height while offering a larger platform. A Large WORK PLATFORM provides room for tools and/or an additional person. 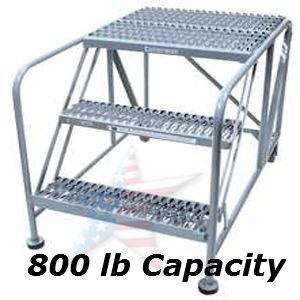 The 800 lb Heavy Duty load rating is Standard. Heavy duty grip strut tread is standard, and a 50 degree climbing angle allows for easy forward descent. 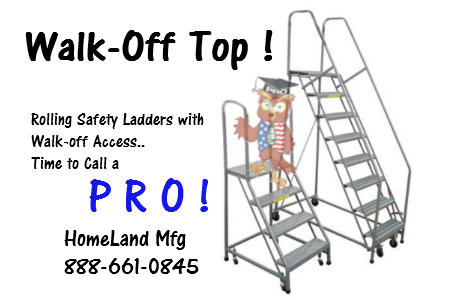 Our WORK PLATFORMS are also ROLLING WORK PLATFORMS and have an Optional Safety Lock Step. 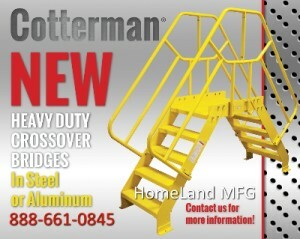 Cotterman Ladder Distributor.